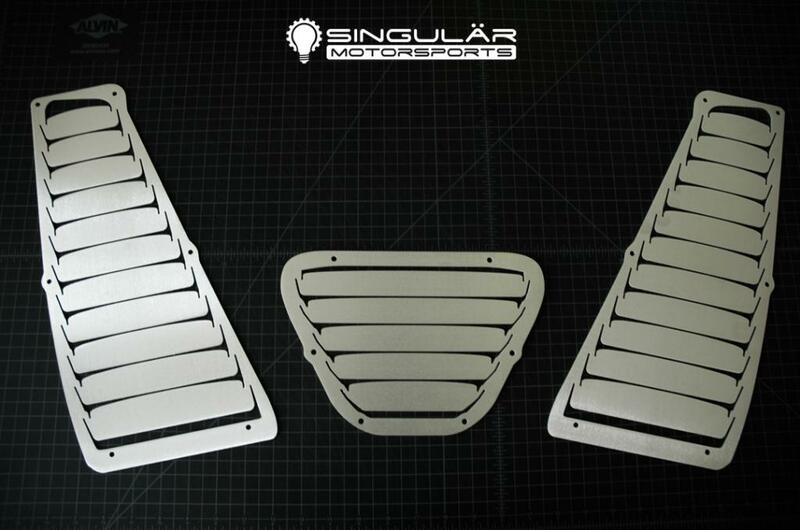 Singular Motorsports NA & NB Hood Louvers GROUP BUY - Miata Turbo Forum - Boost cars, acquire cats. This is only the beginning. Group buy was to confirm that the interest was there. The plan was and is to do full production of these given that the group buy proved the demand was there. Thank you to everyone for your support! We're going to focus first and foremost on delivering to those on the group buy, but hot on the heels of that we'll be working out the details for full production so that everyone can partake in proper hood venting glory. Shipping: $15-$20 depending on location. Shipping can be combined for multiple sets. Pick-up in San Diego, CA is available. A deposit is required to secure your spot on the list and the remaining total is due when the group buy closes. Paypal is [email protected] - please include your forum name and specify NA or NB with the deposit. The group buy will close on August 28th or when we hit the maximum, whichever comes first. It is unlikely that these louvers will be available in the future at this price. 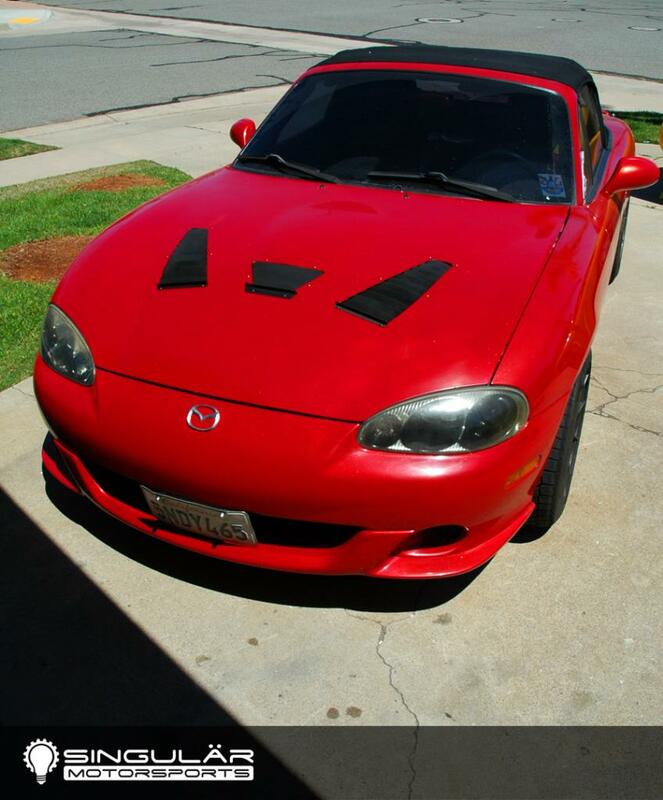 Why you should vent your hood needs little explanation - it’s well documented in the Miata community that it’s a key element to improving the cooling system. Reducing the pressure behind the radiator creates a larger differential between the front and rear of the radiator. 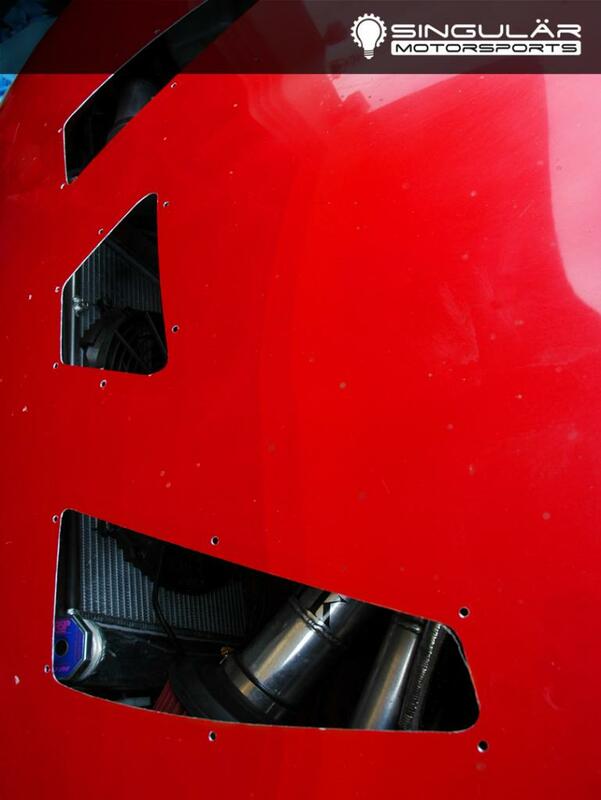 The larger the differential, the greater the airflow. Reducing underhood pressure also cuts down on lift under the front of the car - thus improving downforce. The problem is we didn’t have any really good vent options available. 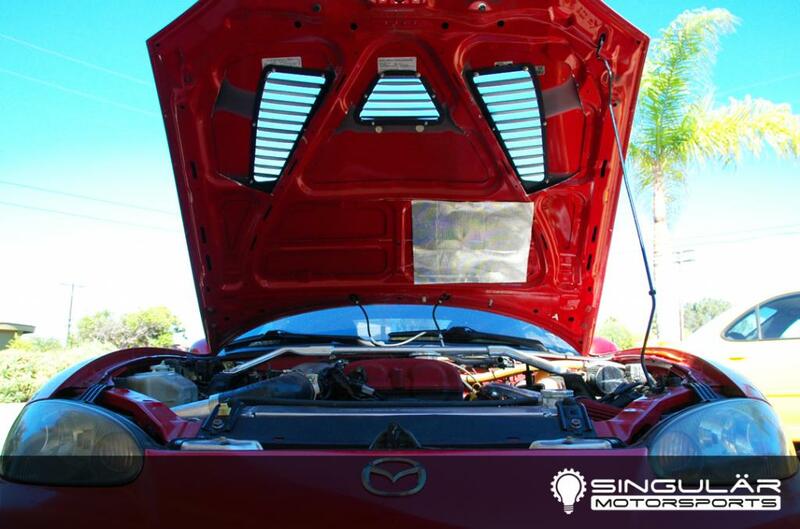 There are very few aftermarket hoods and most of them weigh more than the stock hood. 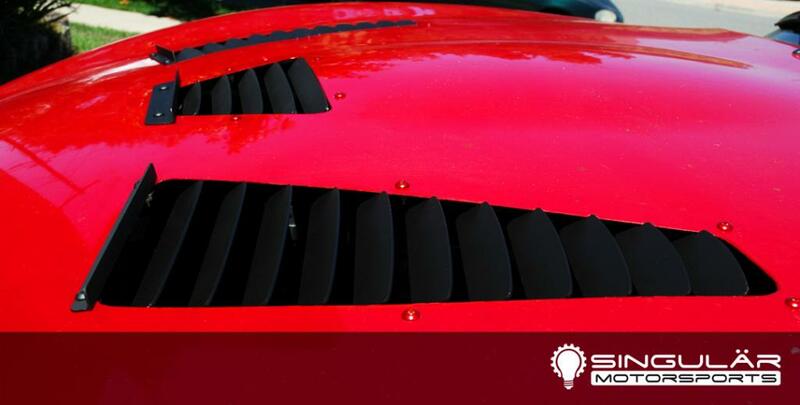 We’ve all seen the DIY vent options out there, including grafting on vents from other cars. Most of these are less than ideal and run into problems as they aren’t intended for our hoods. We got out the pressure gauges and turbo kitten approved yarn and started testing. We began by investigating the pressure and airflow of the stock hood and then tested a number of existing venting options that we had access to. We used the best performing hood vent we found (Garage Vary) as our benchmark and set out to beat it with a new design from the ground up. 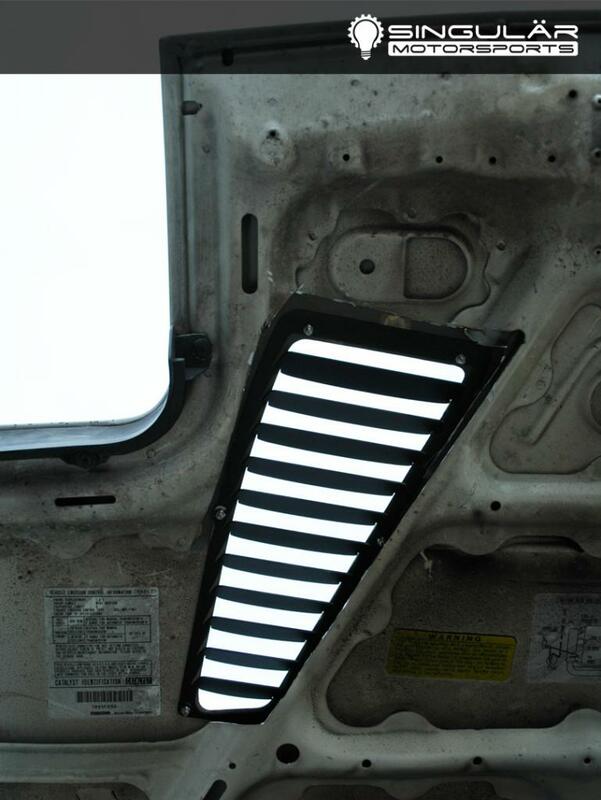 The Garage Vary hood reduced under-hood pressure by 31%. We started with a general design based around what should work well, then tweaked and tested until we arrived at the final version. 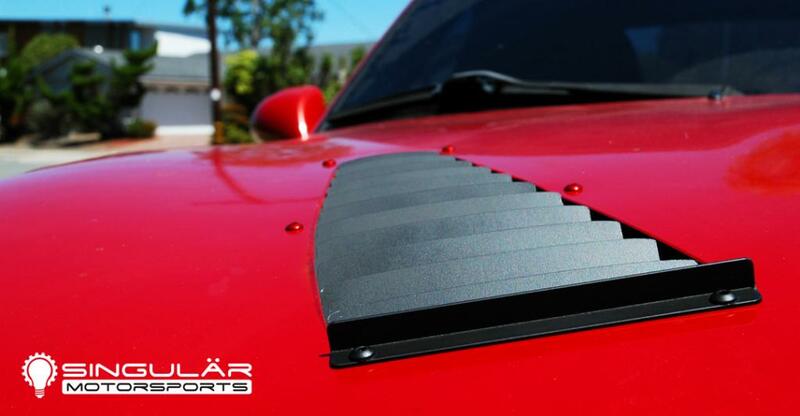 The result is a louver system including gurney flaps that reduces the pressure under the hood by a staggering 50%, fits NA and NB hoods with placement tailored to each model, works in the lightweight factory aluminum hood to minimize cost and you don’t have to deal with poor fitment of aftermarket hoods, and doesn’t sacrifice hood rigidity so that even the stock hood latch can still be used. This is a DIY part. That said, we’ve thought about ease of install from the beginning and you get a full vinyl cutting template specific to the NA or NB. 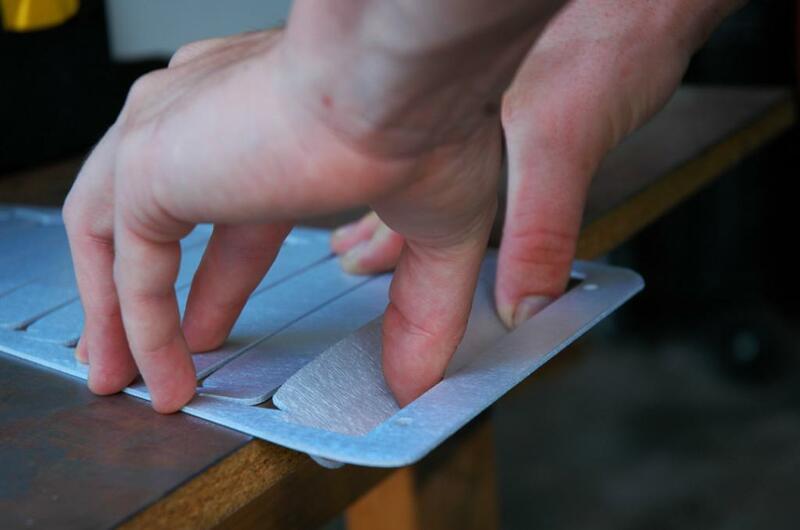 The cut template removes all of the guesswork from your install - just stick it on and it shows you where to cut. Also included is rubber trim that fits around the circumference of the holes, making it easy to achieve a clean and finished look. 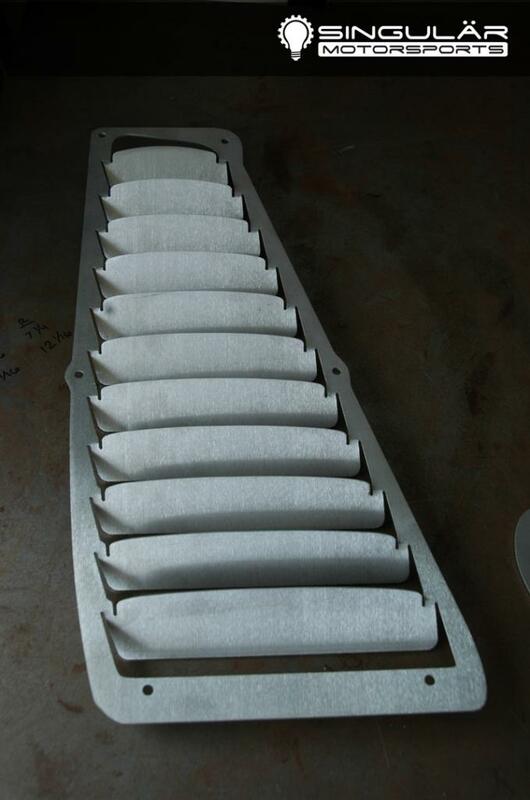 The louvers ship flat (unbent), you bend the fins when you receive them, and you finish them to your preference. Powdercoat will have great longevity, but even simple rustoleum flat black looks fantastic. Another great tip is to go down to your local NAPA and they can paint match to your car’s color in a spray can for under $10. We are going to be conservative and expect to start shipping 2 weeks after group buy closes. [email protected] is right in the middle there. These will ship out in the order of who got on the list first. Feel free to share this on other forums or with friends who may be interested! Last edited by ThePass; 08-15-2014 at 08:23 PM. Group Buy List - SOLD OUT! Last edited by Lincoln Logs; 08-15-2014 at 11:54 AM. Sign me up for the full. Deposit coming your way. Thanks! NA set or NB? Last edited by Lincoln Logs; 08-15-2014 at 03:33 AM. In for full set for NA. Deposit sent! Put monk on the list for a full set stat! Payment incoming. Last edited by tomiboy; 08-15-2014 at 08:34 AM. Can you ship to the UK for a sensible price? If so, NB2 set for me please. Will pay when you tell me how much the shipping will be. Money sent! Anxiously awaiting your love and affection. Can we get some better pictures of them on the car? Full set NA, deposit sent. Money sent for a full set of NB! Payment sent on full set for NA. I'm in for a full set. I'll send a deposit in the next 30 minutes. Yes, like how much below the skin of the hood it goes. Its real close to one of my intercooler pipes that almost rub on the hood. I'm very tempted to get these for the increase in front downforce. $70 US Doll Hairs in your PayPal.